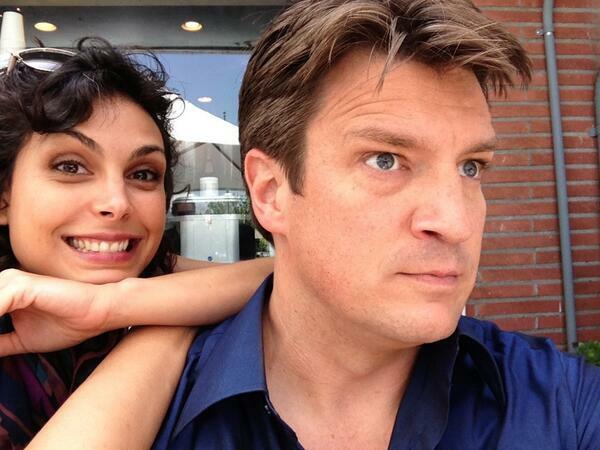 Nathan w/ Morena Baccarin. @NathanFillion: "I think she saw me. Is @missmorenab right behind me?". Wallpaper and background images in the Nathan Fillion club tagged: nathan fillion nathan fillion morena baccarin twitter photo.